New River Gear Bag is both versatile and functional. 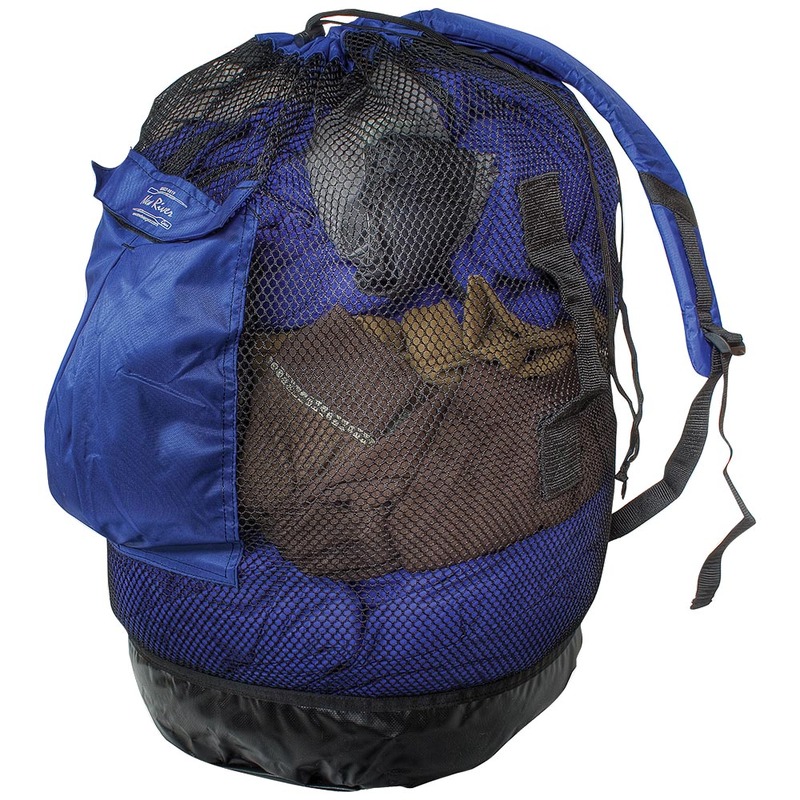 Sides are made of mesh for breathability and viewing contents, bottom is stronger heavier cordura platform. Complete with shoulder straps and external pocket. This is an awesome bag for less than $30! It is big enough for all of my kayaking gear, and it has separate pockets for smaller accessories that might get lost amongst the rest of the gear. There is even a separate compartment for thermals and other stuff that I want to keep dry and separate from the wet stuff. I can't believe it's so inexpensive.